I have fun with ideas; I play with them, I’m not a serious person, and I don’t like serious people. I don’t see myself as a philosopher. That’s awfully boring. My goal is to entertain myself and others. With Lem, Heinlein, Clarke, Asimov and now Bradbury gone, the golden era of SciFi is fading away. 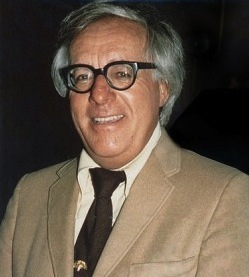 RIP: Ray Bradbury. There was/is no one anywhere near him. “Take me home” – Ray Bradbury’s last essay appeared in The New Yorker just two days ago. I still remember reading Bradbury in school, “Fog Horn”.